Under President Trump’s infrastructure proposal, state and local governments would be responsible for covering most of the costs. To make the best investment decisions, policy makers will need to know how much a project will increase efficiency and boost the regional economy. We cordially invite you to join us for a guest webinar presentation on Wednesday, March 28th, 2018 from 2 to 3 p.m. EST with Colin Belle, Metropolitan Planner at the Region 1 Planning Council in Illinois, and Eric McClellan, Senior Economist at CDM Smith. 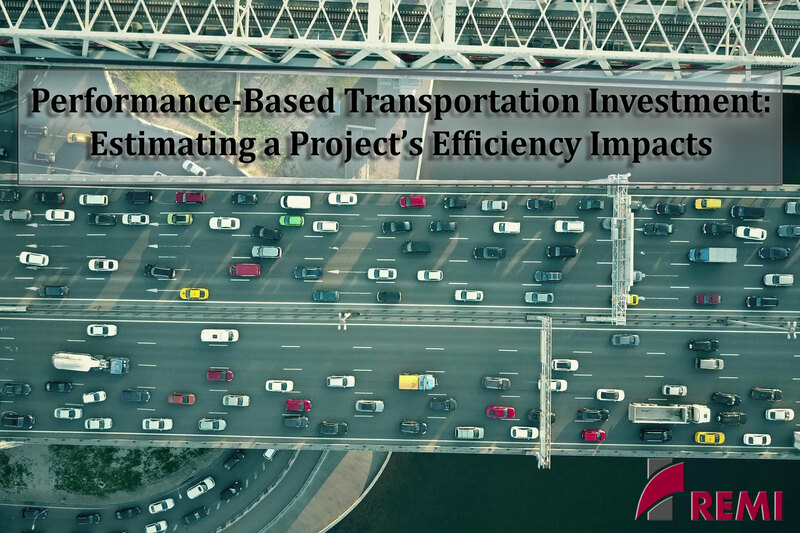 They will discuss how to use economic impact modeling to evaluate the potential performance of transportation investments. Mr. Belle will give a talk titled “Performance-Based Transportation Project Selection”, which examines the role of dynamic economic modeling and travel demand data in strategically investing in infrastructure. Mr. McClellan will present “Net Impacts of Detailed Travel Efficiencies”, analyzing how to disaggregate economic benefits for regional impact estimates that target a wider audience.